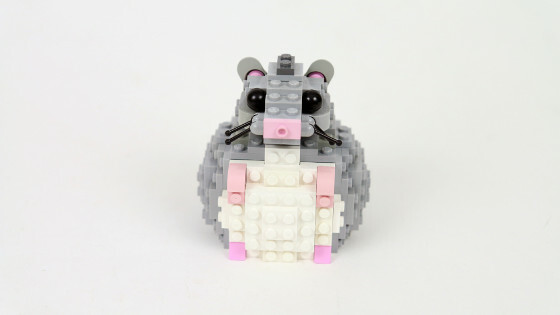 A simple, customizable hamster figurine, now with free building instructions available for Download. Seeing as the support for the LEGO Ideas project has slowed down, I’ve decided to release free building instructions for the figurine, available in the Downloads section. If it doesn’t attract more support for the project, at least anyone interested will be able to build the figurine for him/herself. It’s also a way to say thank you for all the votes so far. It’s called PF Extension Wire and I’m sure you’ll find it easily considering that it’s been on the market for nine years now. Try any color that resembles pink. There are many Lego colors like it, called magenta etc. I was wondering where you got the color for the hamsters feet and hands. I really love model and was trying to find all the pieces for it but those two pieces in that color I could not find. but which cable do you use to connect RC motor to PF reciever? Technically yes, I just didn’t want to submit other versions to Lego Ideas because that would make them require Marvel’s and DC license. But yes, I may make instructions for them all in the future. Once again an amazing MOC. I have supported it since the start. I was wondering if it is possible for you to make your other hamsters as reskins of this amazing model.